What happens when you mix a 17th-century chateau, the luminous light of Provence, and the expert hand of planners Fête in France? Catherine and William’s romantic, gorgeous wedding day! The couple assembled a stellar team of wedding pros, including talented photographer Ian Holmes, to help make their destination wedding the perfect day they’d dreamed. Filled with images of the beautiful setting, Catherine’s radiant bridal look, and hilarious moments, their photos tell the story of just how dreamy the end result was! What inspired your personal wedding style, and how did you incorporate your style and personalities into your big day? At first I had a million ideas floating around and they were all completely different. 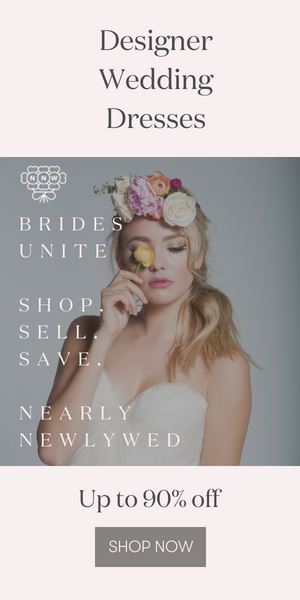 I spent the first 3 months of my engagement sifting through lots of different bridal magazine and created a scrapbook of the things that caught my eye. Looking back, a theme started developing, and I finally came across one picture which encompassed everything I wanted the reception to look like. I took this picture every time I spoke to any wedding pro and sent it to Anne (our wedding planner) the moment I found it. Looking back, what are the moments, decisions or memories that you love the most about your wedding? The String quartet was amazing and being Australian I wanted to walk down the aisle to a special rendition of Waltzing Matilda (a traditional Australian Folk song). The string quartet was kind enough to rewrite the composition and managed to make it sound like a classic piece of music; it really made me giggle and set the happy uplifting tone for the ceremony and rest of the day. What piece of advice would you give to a bride planning her wedding today? If you can, get yourself a wedding planner. There was no way we could have pulled off organizing 40 Australians and 70 Brits in France. Make sure you get along with the planners and have the same vision for the day. Everybody needs an Anne and Nancy in their lives! Make a list of what is important to you and your partner and make sure you dont get caught up in other things because you are under pressure. Although it is your special day, remember it is a special day for your family and friends so make sure you have a sense of humor. Everybody is watching you, and if you are not smiling and enjoying your day, it will rub off on your guests. If its an overseas wedding, just remember that not everyone is a confident traveler so be sure to provide as much information as you can on the region. Thank you for sharing your stunning wedding day with us, Catherine and William! We wish you all the best in your new life together! Planning a destination wedding? Find a planner that knows all the ins and outs of your destination, on our Hotlist of World’s Best Planners and Designers! What an exquisite affair! That’s definitely a destination wedding to remember. . . the French flair, the bridesmaids’ dresses, the small details, the Gorgeous setting! Love it all. . . This wedding is absolute perfection. Everything from the venue, the peonies in the bouquet, the table arrangements, the dresses – agh! All of it, every last detail, INCREDIBLE! This is such a beautiful outdoor wedding. Like the setting and the photography too. Provence is surely one of the best place on earth to get married.